At Davos 2019 Hub Culture has revealed Propel, a liquid democracy tool to enable digital governance inside the Hub Culture community. It is based on a matrix of Principles, Policies and Planks, with real-time voting and expert assignments. The system enables application of governance components to any type of jurisdiction and allows jurisdictions to introduce governance components that can be shared or applied to other locations. Within Hub Culture, the main application of the governance component is applied to Hubs, which anyone can launch and manage for public or private access. All Hubs now have the capability for applied governance characteristics linked to Propel. Anyone in Hub Culture can submit components to Propel, and these components are then available for real-time voting by the community. The voting mechanism also allows voting assignments, so that experts and highly respected perspectives on issues can be recognized and given greater weight in the decision making process. In the development of Propel, Hub Culture spent time learning about global governance systems related to new technologies, such as blockchain and distributed governance mechanisms. From these learnings comes a unique aspect of Propel - all components of the system are assigned a digital identity visible on the Open Audit Initiative (OAI) as an immutable record, and therefore improving transparency and record keeping in the public sphere. This identity mechanism includes cryptographic privacy, so that voting is private and anonymous, yet public via the OAI. As the system develops, Hub Culture is learning from a variety of goverance experts. 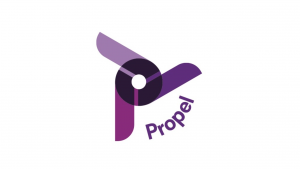 Input on the first stage of Propel came from global political strategists ranging from the Reagan administration officials to current government official in Bermuda, Europe and other locations. In particular, Hub Culture consulted with tribal elders from Native American tribes focused on consensus mechanisms, where simple majority votes are not enough to convey decisions, as well as modern and historical documents ranging from the Magna Carta to the Declaration of Independence, the Bible and the Koran, even the 10 Principles of Burning Man. In short, Propel finally enables anyone and everyone to digitize and participate in democracy in real-time and to choose the components of governance appropriate to many types of situations. Get involved in applying living governance to the Hub in Davos, open this week during the World Economic Forum Annual Meeting.